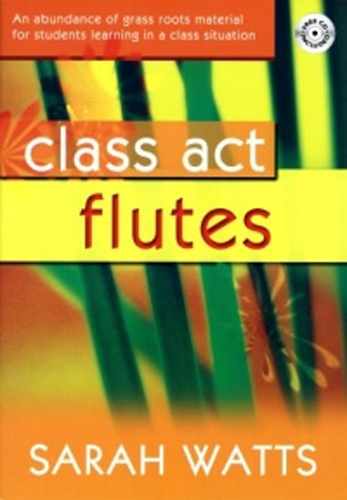 Class Act Flutes aims to motivate & inspire new flautists learning in a mixed-ability class situation. It provides fun material & gives everyone a chance to join in & make progress. The book focuses on music rather than method & encourages playing by ear as well as introducing written notes one at a time to promote good musical literacy. Class Act works alongside the teacher providing plenty of musical material while allowing them to use their own ideas on teaching technique & theory.